Don’t be left behind, and get a jump on the MBA application process this June! Here’s your guide to this month’s MBA admissions deadlines in our top metros. The deadlines for round 3 of St. John’s Tobin MBA (fall 2018) and round 4 of Fordham’s full-time MBA (fall 2018) is tomorrow, June 1. Meanwhile, the final deadline for NYU Stern’s Executive MBA (January intake) comes a week later on June 8. 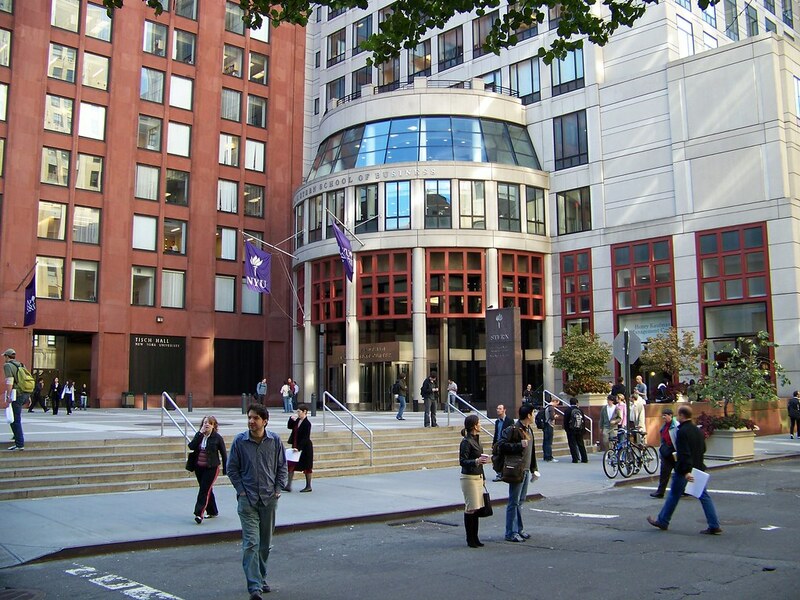 NYU Stern’s Executive MBA deadline for its next January intake arrives Friday, June 8. Later in the month, prospective MBAs can look forward to getting their applications for the Zicklin School of Business Executive MBA (fall 2018) in by June 20—the is the final deadline for the program. The priority deadline for the Business@Syracuse Online Master’s Degrees (October) will occur near the end of the month, June 25. June is full of deadline days in the LA metro. Early month deadlines include dates for California State University, Long Beach Evening fall intake (domestic students), Claremont/Drucker Executive MBA summer module 2 (July intake), round 3 of Chapman/Argyros full-time MBA and Loyola Marymount full-time MBA all on June 1. The rest of the month features deadlines on June 15 for round 4 of USC Marshall’s full-time MBA and on June 22 for round 2 of UCLA Anderson’s FEMBA. July deadlines to be aware of moving forward include the Claremont/Drucker Executive MBA fall module I (August intake) deadline on July 1 and the Paul Merage School of Business Health Care Executive MBA deadline on July 15. There are only two MBA deadlines for Toronto metro schools in June: DeGroote School of Business’ full-time MBA deadline (domestic) on June 1 and the round 4 deadline for the Rotman School of Management Morning/Evening MBA on June 14. Upcoming July deadlines include Ted Rogers School of Management full-time MBA deadline on July 9 and the Ivey Business School full-time MBA deadline on July 16. More information on Toronto deadlines can be found here. In Philly, international applicants to St. Joseph’s / Haub MBA fall intake need to get their applications in by June 15. Meanwhile applications for a trio of Temple Fox programs (Temple/Fox Global MBA, Temple/Fox part-time MBA fall intake, and Temple/Fox Online MBA (fall intake) need to be in by June 30. The Fox Temple Global, part-time, and Online MBA program deadlines arrive at the end of the month, June 30. For more upcoming deadlines in the Philadelphia metro, click here. The lone MBA deadline in the DC metro in June is round 4 of George Washington’s Professional MBA on June 26. Then you can start looking forward to July’s only deadline, American University’s Business@American October priority deadline on July 26. More deadlines for the Washington DC metro can be found here.